Last week I posted about Dace. I absolutely want their bedding and blouses! 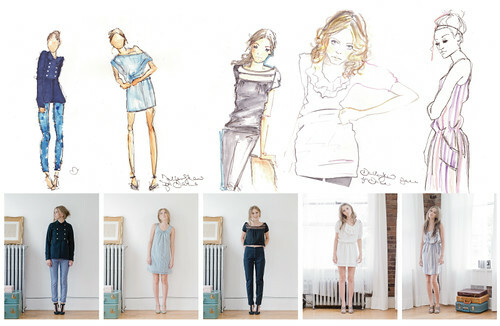 They just commissioned Dallas Shaw to create 5 different fashion illustrations of models wearing dace pieces from their spring 2010 collection. They’ll be giving away prints to everyone that purchases something from the new collection online (while supplies last). Plus they’ll give away 3 originals to the first 3 to purchase something after the mailer goes out-Monday (yesterday so hurry). I’ve just come across your blog and I love it. I really like your illustrations and ink drawings. I’m really pleased I found you and look forward to keeping up to date with your entries. oh thank you so much that is so sweet!!!! Glad you will be following Maquette and my work. It means the world to me!